On July 17th, 2018, The Washington County Special Response Team (SRT), along with detectives from the Washington County Sheriff’s Office and the Hagerstown Police Department executed a search and seizure warrant at 610 West Church Street, Hagerstown, Maryland. Stolen firearms, ammunition and other items from burglaries were located in the apartment. Detectives determined that two juveniles and Ajay Butcher committed burglaries and thefts during July, 2018. The burglaries, which the Sheriff’s Office has charged the accused of, occurred on Broadfording Road and Chippendale Circle. 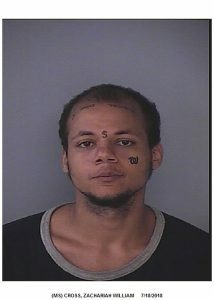 Ajay Butcher, 18, of Hagerstown has been charged with 1st Degree Burglary, 2nd Degree Burglary (2counts), 3 counts of Theft, Motor Vehicle Theft and several weapons charges. 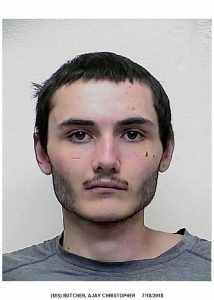 Zacharia Cross, 19, of Hagerstown, has been charged with Theft and several weapons charges. Additionally, a 17 year old male and a 14 year old male have been charged in relation to the crimes. Butcher is currently being held at the Washington County Sheriff’s Office on no bond. Cross was released on personal recognizance.